Great to meet you. My name is Alex and I support female entrepreneurs to improve their online presence. I've spent 20 years designing websites and apps for big corporates like Burberry and Ralph Lauren and have first hand experience of running my own yoga business. If you want to Shine Online with an authentic, inspiring and beautiful presence, then we should talk. Book in your free discovery call session and we'll go from there. When we start out, most of us have no idea about what is really involved in running a successful business. Along the way, we discover a tonne of new skills we need like marketing, book-keeping and web development. There are loads of tools you can use to put together a website and if you have design skills they can be just fine. BUT most people don't, and end up with a website which looks homemade and doesn't reflect their brand. You need to give your online visitors a professional, intuitive and enjoyable experience which builds trust in your brand and makes them want to work with you. For the past 20 years I have worked as a User Experience Designer, designing websites and apps for big corporate clients. Just before I hit 40 I had a little ‘mid-life shake up’, and realised I wasn't spending enough time with my kids. So! I took my yoga teacher training, quit the city job and started teaching yoga full time. During the early days of my yoga business, I spent weeks deciding on my brand name, logo, colours and fonts. These were all proudly displayed on my website but there was something missing - ME. I wasn’t confident to step out as my own personal brand and it when I worked through my visibility issues that my business grew. Does any of this sound familiar to you?! I became a digital coach because I was frustrated about how many of my fantastic colleagues were failing to attract enough students through their online channels. They absolutely radiate in person but needed my help to translate their passion and enthusiasm online. I love combining my worlds - making the techy stuff less overwhelming for people who want to embrace it. "Working with Alex was such a great investment - she understood what I was looking for and was able to quickly and clearly translate that into my online brand and strategy for my website and marketing material. She totally took the pain away from this decision making - in fact she made it a really enjoyable and empowering experience and my clients and I love the results." 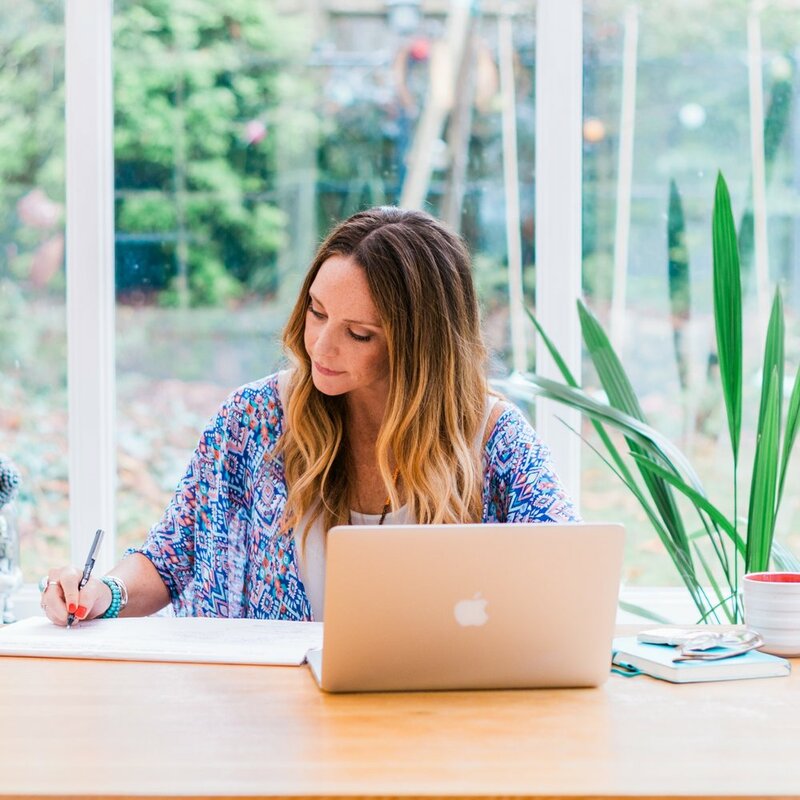 "Being not at all technically minded, Alex guided me firmly towards clarity of my brand (sharing Pinterest ideas, choosing brand colours and fonts...). She also made the daunting task of building my website actually fun! The website is such a valuable tool to generate new students for my business, and I can't thank Alex enough." There are a few different ways we can work together. I have digital coaching, branding and website packages and also put together bespoke packages. The best thing to do is book your free discovery call so we can work out what is right for you. In person or online Digital coaching sessions to help you improve your website, social media and digital tools. Suitable if you want support to grow your business. Develop your bespoke Personal Brand, styleguide and social media templates. Suitable for women who are ready to step out online as their own personal brand. No need for website shame! I build authentic, inspiring and beautiful websites to help you share your gifts and grow your business.